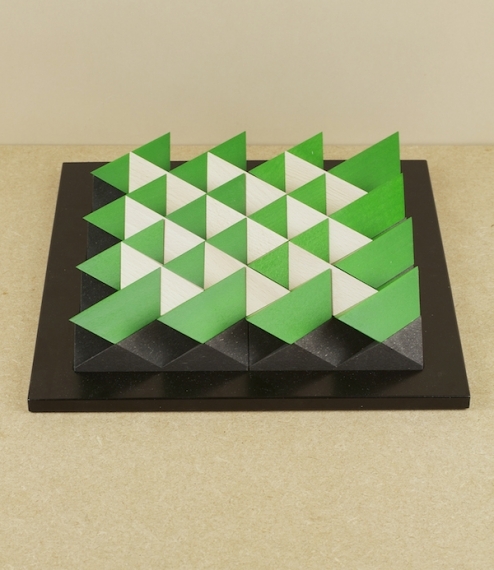 A quietly fascinating toy created by the German (geometry obsessed) cabinet maker and graphic designer Fred Voss around the three-dimensionally tessellating rhombic dodecahedron. 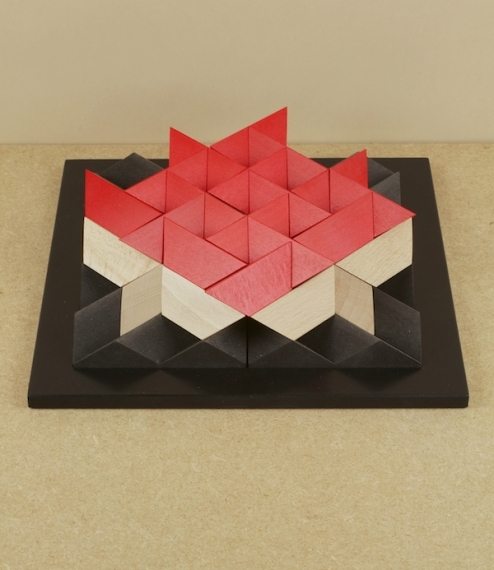 Each of the formally identical pieces makes up a quarter of this form and drops with satisfying ease into the four ridged base tiles, but the simplicity of the components belies the complexity and variability of the patterns so formed, and perhaps in their very limitation determine the mental gymnastics required to achieve a desired end. Made in the town of Neuhausen, Saxony near the Czech border and the Ore mountains, an area with a long tradition of wood and toy manufacturing. Each block measures very approximately 25mm x 70mm.